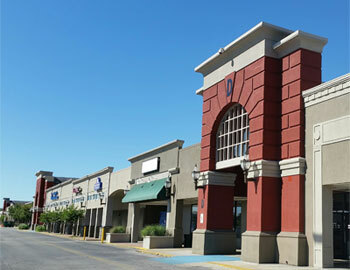 Drop by and see the new location of Chattanooga College at Eastgate Town Center. Completely remodeled facilities with the latest updates and features. Beautiful grand entrance and excellent instruction space. You will feel positive and uplighted in the new spaces at Chattanooga College. 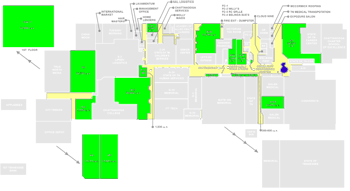 Eastgate Town Center has been going through some changes. Not only have we added a new roof, we have painted the full exterior of our facilities and upgraded or remodeled many of the interior spaces as well. Drop by and see the new awnings that match the new paint colors on the exterior of our facilities. Our speakers will be Jennifer Yealy and Jesse Hargis. 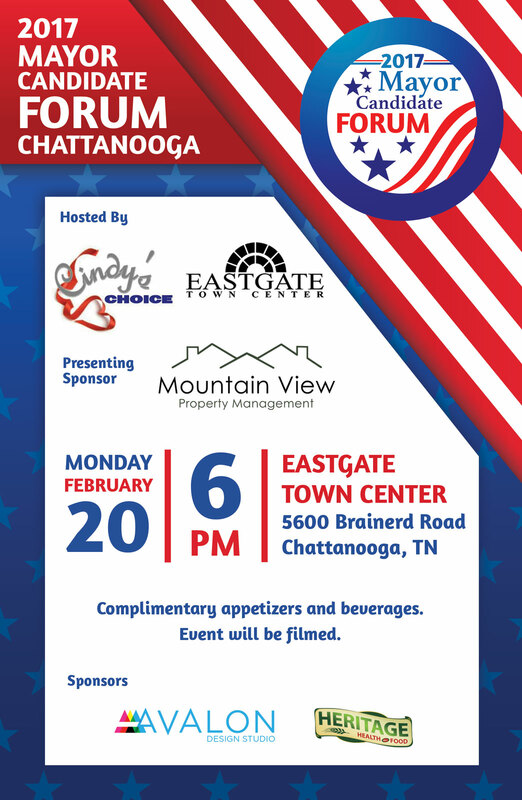 Join us on Monday, February 20th at Eastgate Town Center, 5600 Brainerd Road, Chattanooga, TN at 6pm for the 2017 Mayor Candidate Forum. Hosted by Cindy's Choice and Eastgate Town Center. Presenting Sponsor: Mountain View Property Management. Complimentary appetizers and beverages. Event will be filmed.